Get your thinking hats on and have a go at these fun Christmas brain teasers! Here are 6 more challenging brain teasers to enjoy over the Christmas holidays - and these are guaranteed to get the kids (and adults!) thinking - and perhaps provoking a groan or two! 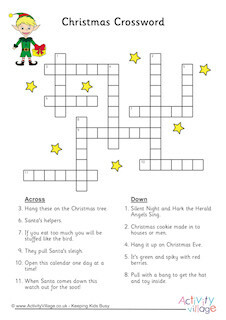 Here's our 4th page of little Christmas challenges - 6 more to keep the brains working over the holidays! Tackle the whole page or cut them up into squares and try one at a time. There's a good mix here so that all ages can expect a bit of a challenge!